Treat yourself to an evening of fun and an overnight stay in historical Stratford-upon-Avon this summer. Spend your day at leisure, and when evening comes dine and dance the night away in the company of newfound friends! Pay a visit to nearby Stratford-upon-Avon, where you can spend your time shopping, soaking up Shakespearean history or grabbing a guided tour. Back at the hotel, why not relax in the pool or sauna before the evening kicks in? After joining other Solos guests for a welcome drink and three-course dinner, accompanied by half a bottle of wine, we can let our hair down and put on our dancing shoes! Our hotel is surrounded by beautiful Warwickshire countryside, and is perfectly located for exploring historical Stratford-upon-Avon. This gorgeous hotel features a contemporary bar, welcoming restaurant and health club with a spa, swimming pool, sauna, steam room, gym and treatment rooms. Facilities in our large and comfortable bedrooms include a LCD TV, tea/coffee-making facilities, iron, hairdryer and complimentary internet access. 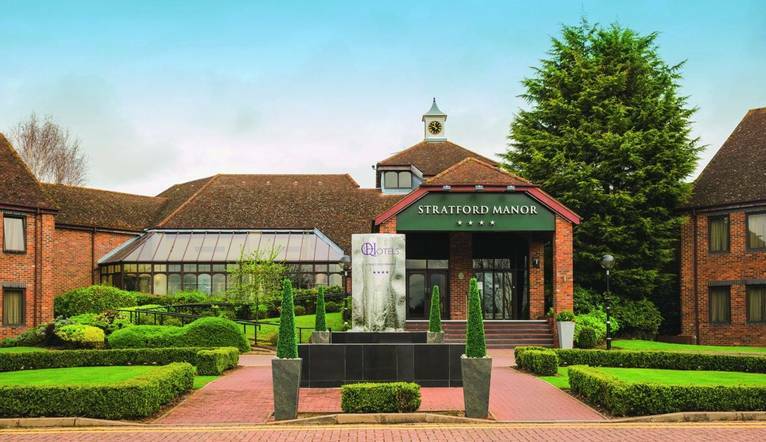 The hotel is accessible from Junction 15 of the M40 and Stratford Parkway Station is 3 miles away. Complimentary car parking is available. There is often confusion on the question of gratuities, since it frequently depends on the type of holiday, location and, of course, your attitude towards tipping, as to what is normally expected. In order to give you a rough idea, we have given appropriate guidance below. The Tour Leader will be on hand to offer advice or suggestions if required but gratuities are offered entirely at the sole discretion of the individual.We suggest a group collection at the beginning of your holiday to cover drivers, guides and hotel staff (including restaurant, kitchen and reception staff) of approximately £5. Your Tour Leader will collect this on your behalf and distribute it accordingly, thus relieving you of the burden of who, when and how much to tip. The tipping of bar staff and housekeeping will be left to your individual discretion (the rounding up of the drinks bill and a small amount left in your room on departure should cover this and would be much appreciated). As is customary, ‘the hat’ will be passed around for the driver and guide on all optional excursions. For any meals that are not included in your itinerary, restaurants expect a 10% gratuity (do check that service has not already been added to your bill). For taxis 10% of the metered fare.